The suspension-depleted Boomers have proved far too strong for Qatar. AUSTRALIA have opened the second round of FIBA World Cup qualifiers with a crushing 95-43 victory over Qatar in Doha. 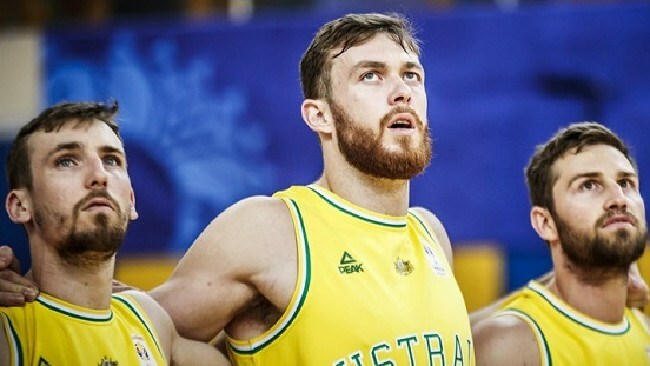 Returning to action for the first time since their controversial clash in the Philippines, the Boomers dominated from the outset to join Iran at the top of Asian Zone group F with six wins from seven matches. Ranked 10th in the world, the Boomers cruised to a 16-point lead at half-time before outscoring the 61st-ranked Qatar 30-3 in a devastating third-quarter run. 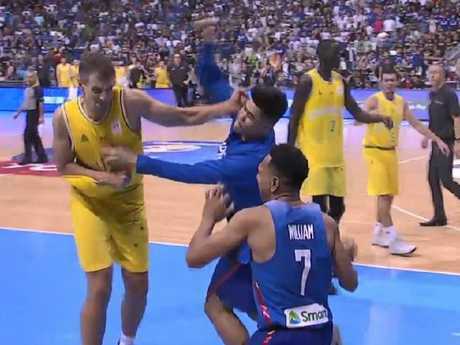 The Boomers didn't miss a beat without suspended trio Thon Maker, Chris Goulding and Daniel Kickert and while there was some early niggle between Boomers big man Matt Hodgson and Qatar centre Mohamed Yousuf Mohammed, the match finished without incident. Jesse Wagstaff led a balanced scoring attack with 18 points while Adelaide 36ers star Daniel Johnson made an impact in his national team debut with 11 points, five rebounds and three steals in 13 minutes. The Boomers' efficiency on offence stood out but coach Andrej Lemanis was more impressed with his side's defensive intent. "To keep them to 43 points on the shooting percentage that they shot it at, I thought was a good defensive effort from us," Lemanis said. "I thought we were disruptive but the most important thing was the intent." Australia forced Qatar into committing 21 turnovers for the match and scored 27 consecutive points in the third quarter before Qatar broke through for their only basket for the term in the final minute. The visitors opened the match with a dominant first quarter, centre Angus Brandt showing his strength under the basket and Wagstaff on target from beyond the arc to build a 24-12 lead. The home side landed a pair of three-pointers to reduce the margin to eight in the second quarter but the Boomers reeled off 10 unanswered points to take a 40-24 edge into half-time. Australia then clamped down on defence in the third quarter to put the result beyond doubt. The Boomers now head home to prepare for Monday night's clash with Kazakhstan at Bendigo Stadium. 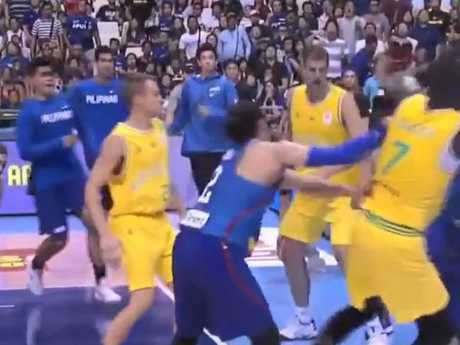 Last time the Boomers played, fights between players, coaches and officials broke out. 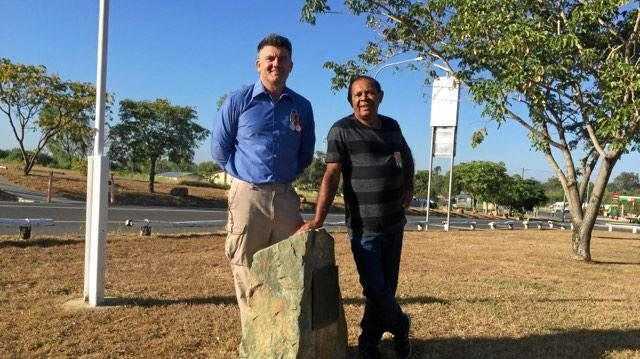 "Now we've got a long travel to get back home," Lemanis said. "We have to continue to stay focused on the task at hand which is coming out, resetting ourselves, locking in defensively and playing as a team offensively." Melbourne United captain Goulding is expected to return for the Boomers after serving his one-match suspension.